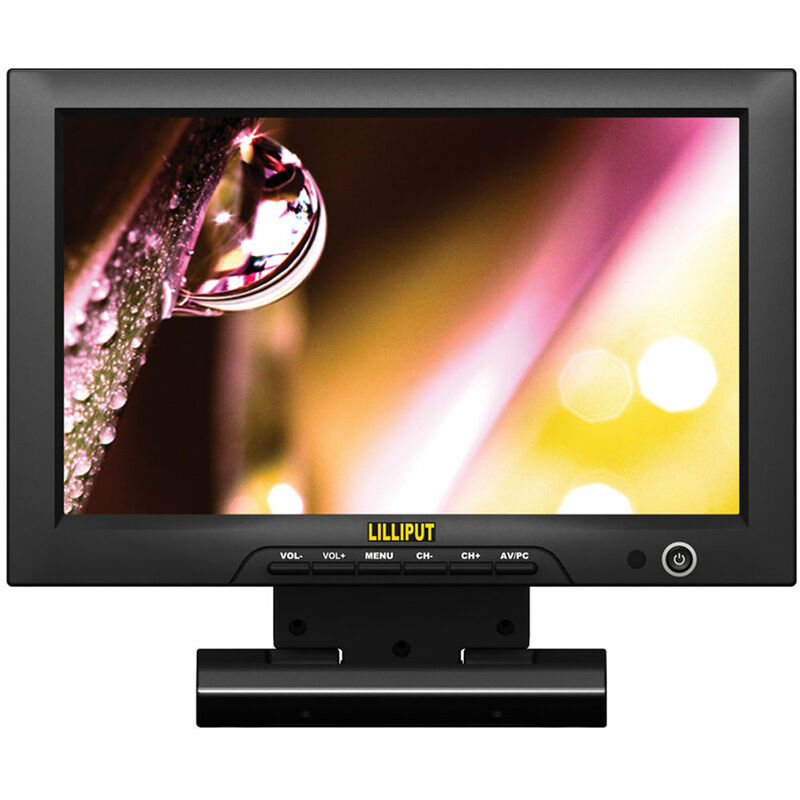 Monitor Composite, Component, or HDMI sources with the Lilliput FA1013 10.1" Field Monitor. Featuring a sharp and bright 1024 x 600 LED LCD display, the FA1013 can display digital or analog SD and HD video signals, leveraging the 16:9 aspect ratio to avoid letterboxing HD video. The Component and Composite analog inputs have loop outputs for daisy-chaining other video equipment. Because of it's compact and portable design, the FA1013 can be implemented into studio, CCTV, A/V, and field production workflows. As a field monitor, the FA1013 can be mounted in various ways for different purposes. The integrated stand allows for straightforward desk mounting, while 75mm VESA securing points open up more flexible installation options. Additionally, a 1/4"-20 mouting point is available for securing the FA1013 to your camera rig with a separately available arm. Along with the monitor, you'll receive an HDMI to mini-HDMI cable for connecting most common DSLR cameras and a 12V power supply. Box Dimensions (LxWxH) 13.45 x 11.35 x 3.6"
Does this show audio levels? The only way that we think it is possible for this monitor to show audio levels is if you send the display information from the camera. We know of no monitor that show audio levels on their own. Can this be mounted to a DJI ronin M? If you removed the stand, added a VESA mount and heavy duty articulating arm, if could be mounted. However, the added 3 lbs, mass and sheer size would render handheld operating virtually impossible we would imagine. We recommend a 5 or 7 as better alternatives. Will this monitor work with the GoPro Hero 4 or GoPro OMNI VR? Per the specs of the monitor and the Gopro Hero it should. The monitor has a full-size HDMI jack. If you have the adaptor cable to mini-D HDMI it should work. Does it 110 V or 220V ?? Will this monitor work with the hdmi output of the Atomos Ninja Star? Does this work with 24fps 1080p hdmi signals? Yes,the monitor works with 24fps 1080p HDMI singnals .